After seeing Jack Hanna appear on a late night talk show with his animals, I knew he would be a great inspiration to kids all over the world. Luckily he agreed to give us an interview to talk about his passion for animals. 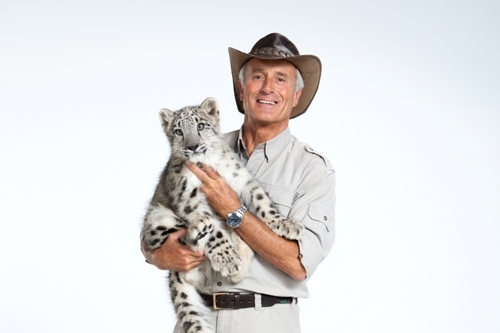 Jack Hanna’s love of animals began at the age of 11 during his first job working with his family veterinarian. After college he opened a pet store and petting zoo with his wife. Years later he became the director at the Central Florida Zoo. His next challenge was to take on being the Columbus Zoo and Aquarium’s executive director. It was then he was able to show his public relations savvy and he began making television appearances with zoo animals. In the executive director role he orchestrated the zoo’s transition from cage-like enclosures to more natural habitats, expanded the grounds, and increased attendance. In 1992, Jack transitioned into the role of director emeritus that allowed more time for traveling and media appearances – he still calls Central Ohio home! Mr. Hanna is one of the best known animal experts due to his appearances on many television shows including Good Morning America, the Ellen Degeneres Show, The Late Show with David Letterman, Larry King Live, The View, and his own TV shows, Jack Hanna’s Into the Wild and Jack Hanna’s Wild Countdown. Jack Hanna educates America on The View Jack has written several books including his autobiography, My Wild Life, and many children’s books, most recently Jack Hanna’s Big Book of Why: Amazing Animal Facts and Photos, available on Amazon.com. Jack Hanna is also an active supporter of many animal conservation groups and nonprofits including Partners in Conservation, the Mountain Gorilla Veterinary Project, the SeaWorld and Busch Gardens Conservation Fund, and St. Jude Children’s Research Hospital. He is also a professional fellow of the Association of Zoos and Aquariums. He has used his notoriety to bring public attention to animal conservation. Jack Hanna’s hope is that we can all appreciate, value, and protect wildlife for generations to come. AK: What aspects of working with animals do you enjoy most? JH: One of the best parts of my job is being able to see kids (and adults!) light up when they see their favorite animal. Many animals are endangered and/or on the brink of extinction in the wild. It’s hard for people to see the animals they grew up learning about in school, so when they get a chance to see a penguin swimming or a lion roaring at the zoo, it’s extra special. AK: What did you do to transform the Columbus Zoo into a public success? JH: When I arrived to the Columbus Zoo in 1978, it wasn’t much to look at. The employees wore uniforms from the city’s sewers and drains department! The first thing we did was re-paint the whole Zoo. Then, we got the employees real Columbus Zoo uniforms. It was amazing how little changes like that made such a big difference in the very beginning. The staff worked extremely hard and before we knew it, the Zoo just kept growing and improving! AK: When you choose animals to show the public on television, how do you decide which ones to highlight? JH: I have been lucky to be a guest on many different shows – something we say a lot at the Columbus Zoo is “touch the heart to teach the mind” – and it is never truer than on national television! I always try and bring animals that will touch the hearts of everyone in the audience. Because in order to save something, we need to learn to love it first! AK: Your television program, Jack Hanna’s Into the Wild, has won three Daytime Emmys for Outstanding Children’s Series. What do you try to include in your programming to make it appealing to children and adults alike? JH: It has been such a privilege to travel the world and see so many amazing animals. In each region, there is always something new and exciting to experience – and we try to record that for our viewers. On the trips, the film crew and I are always looking to local animal experts to teach us about their culture and the animals that call the same area home. AK: How has your family been involved in your activities with animals? JH: My wife Sue and I have been married for 47 years – and she is always by my side. Our love of animals started from the very beginning – I used to keep ducks in my dorm room and my pet donkey marched in a college parade with Sue! Our three daughters were also never far away from animals growing up, and the Columbus Zoo was like their second home – in fact, they used to come in on Sundays with me to help me pick up trash after the Zoo had closed! AK: Many of our readers have an interest in animals. What traits and/or skills are necessary in a person to be a success in working with animals as their career? JH: My dad always told me that in order to be successful in any career you have to remember three words: “hard work” and “enthusiasm”. Be passionate about what you are doing, learn as much as you can and get as much experience as you can– whether that’s through volunteering at an animal sanctuary or interning at a zoo! AK: You have been involved in numerous conservation and educational outreach programs. Describe your activities as a conservationist, or perhaps one that is particularly special to you. Why is this important to you? JH: The Columbus Zoo supports 70 conservation projects in over 30 countries – I am so proud of the work our team is doing to help support conservations around the world. One of the organizations closest to my heart is Partners in Conservation (PIC), which was founded here at the Columbus Zoo in the 1991. PIC works to help protect the critically endangered mountain gorillas in Rwanda – and in turn, also helping the people that share the gorillas’ habitat. They support a variety of programs, including a team of veterinarians, anti-poaching units, a community center for children and adults, and a variety of programs to provide alternate incomes for the local people in order to protect the forests. AK: You have traveled all over the world. Where is your favorite place to visit? JH: I enjoy visiting new places, but Rwanda holds a very special place in my heart. Rwanda is home to the majestic mountain gorilla – and seeing them is a life changing experience. My wife and I try to return to Rwanda at least once a year – we wish we could go more! AK: Who has been a mentor in your life that has helped you achieve your dreams? JH: Growing up Marlin Perkins, from Mutual of Omaha’s Wild Kingdom, was my idol. Marlin’s show was one of the first to bring animals from around the world into people’s living rooms through television. AK: Do you have any other message you want to give to our readers? JH: I hope kids will get outside and explore! Whether that’s heading to your local zoo, community park, or just playing in your backyard – there are so many amazing animals out there to discover! 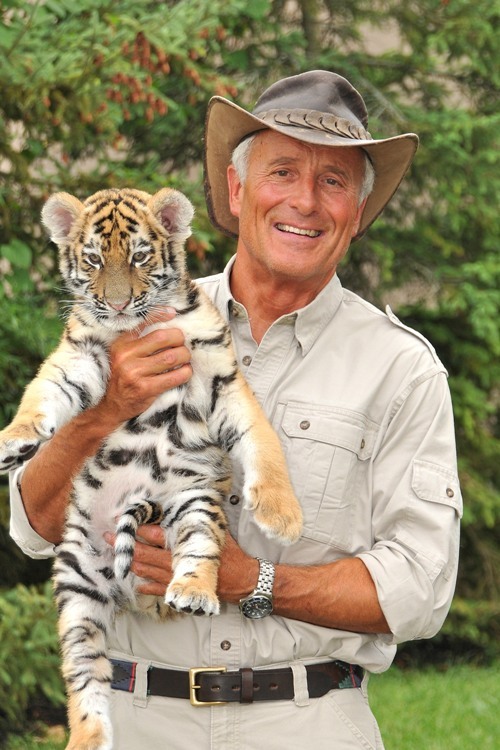 We are so grateful to Jack Hanna for sharing his thoughts with our readers at Amazing Kids! Magazine. He truly is someone who demonstrates every day the importance of protecting wildlife for future generations. 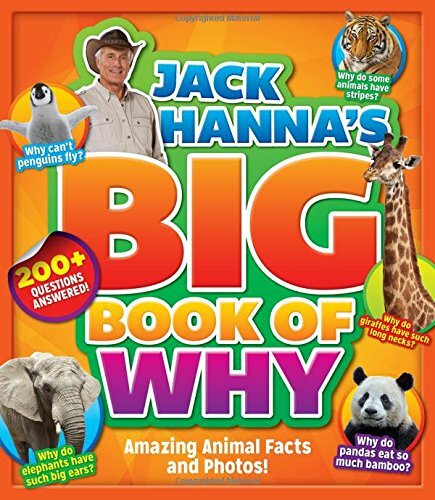 Be sure to read one of Jack Hanna’s books to discover some interesting facts about animals.